Browse » Home » » Make More Money! When I first started collecting coins how ironic that I assumed that the hobby would make me happy but it turned out that I would need more money to satisfy my craving for collecting more money which therefore made me a little bit frustrated because I cannot afford buying coins that I want. Its a little bit of twists but that is the reality being faced by all collectors. When I joined a local numismatic club several years ago, I could only buy poor graded coins and those already searched by the veterans. Sometimes, senior members would even give me their unwanted spare and trash as if I was a dog. When I was participating in the club’s auction I could only bid for those items starting at open category (30 pesos). Senior members would sometime insult me by making a joy bid. Well, I have to be honest that I felt depress for those kinds of treatment but that did not deter me to continue my participation because I thought I was only taking the stepping stones towards the top. Actually, I was wrong. Later, I found that I could have more coins that I wanted and make more money than before and the process is very simple. You don’t have to invest a lot of money or waste a lot of time browsing the catalogs or digging some holes for lost treasure. Before I was selling coins and other stuffs on Ebay and that was even before Paypal arrived in the Philippines. I had numbers of successful sales but most of them were failures since I had to wait for those payments sent via mail to arrive which most of the times went loss or ended-up received with the cash missing then, those items I sent via post went missing too. As it turned out, I was receiving complaints left and right and got even negative feedback. One mistake I made that I would not surely forgive myself was selling inventories on Ebay for a friend without the items on my hands---which got me into a lot of trouble. I had no choice, I had to replenish my supply because I thought I had to meet the demand. I ended-up broke, lost a friend, lost my hobby for a while, and with some new enemies all because of a bad decision. When Paypal was inaugurated, I thought I could resurrect from that setback but I was also wrong because I have new competitions. Too many people are buying the stuff that the price being asked by suppliers dramatically increased and moreover there is now a very low supply of old coins since great number of coins were already exported during the previous years. Besides, the United States which is the main market of Coin Dealers and Ebay Coin Sellers now suffers an economic crisis that the margin of profit for selling coins shrunk that it would be much better to buy coins from the United States than sell it there. I thought that this was my last straw and I should call it quit before the last strand breaks out. But then again, I must admit “old habit never die that easily” so I looked for another niche that brought myself back to the drawing board. One Saturday, I was talking to a local Dealer who is also an Ebay Seller. He admitted to me that he too is suffering losses despite the fact that he is making sales on Ebay on weekly basis. As I narrow down the problem, it all bogs down to this. Since the hobby became very expensive and there are lots of fake items in circulation. 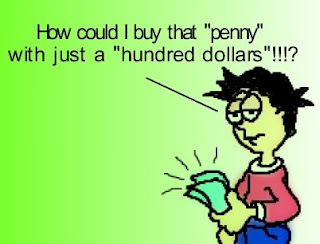 Only a few number of new comers are attempting to get hook into coin collecting. Aside from being ridiculed from school for the youngsters, the hobby has become more of “pawning” than numismatic because of the high price and tremendous demand for rare and precious metal, particularly gold, silver, and platinum have resulted to the rapid increase of old coins being melted on the pot. Most coin buyers are now conservative in terms of buying coins and narrowed down their criteria to gold, silver, and platinum. We cannot blame them since it is very safe to make an investment on intrinsic value rather than numismatic value.